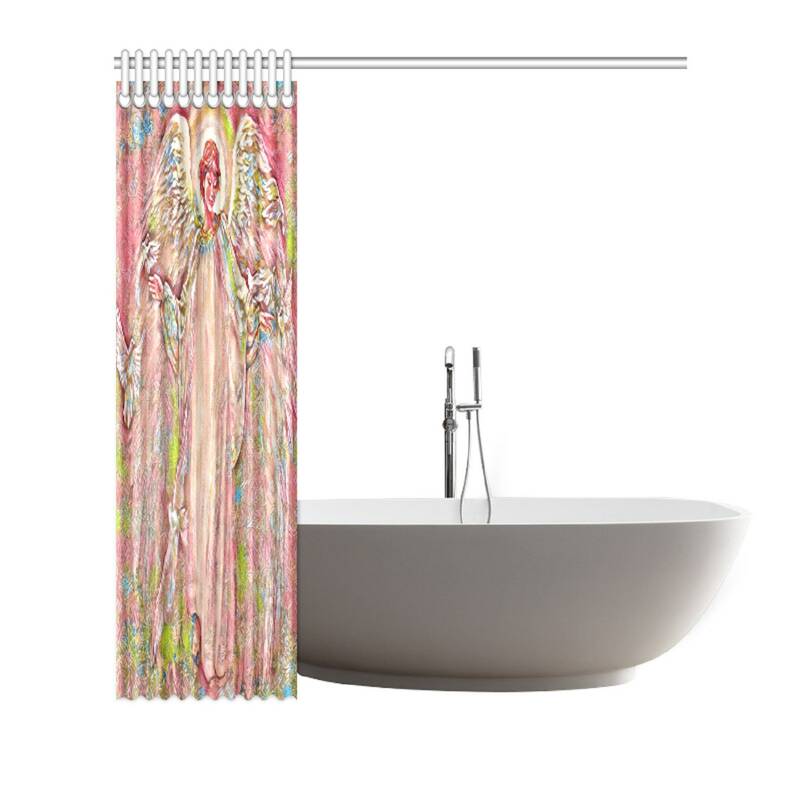 Get the right size to fit your shower. 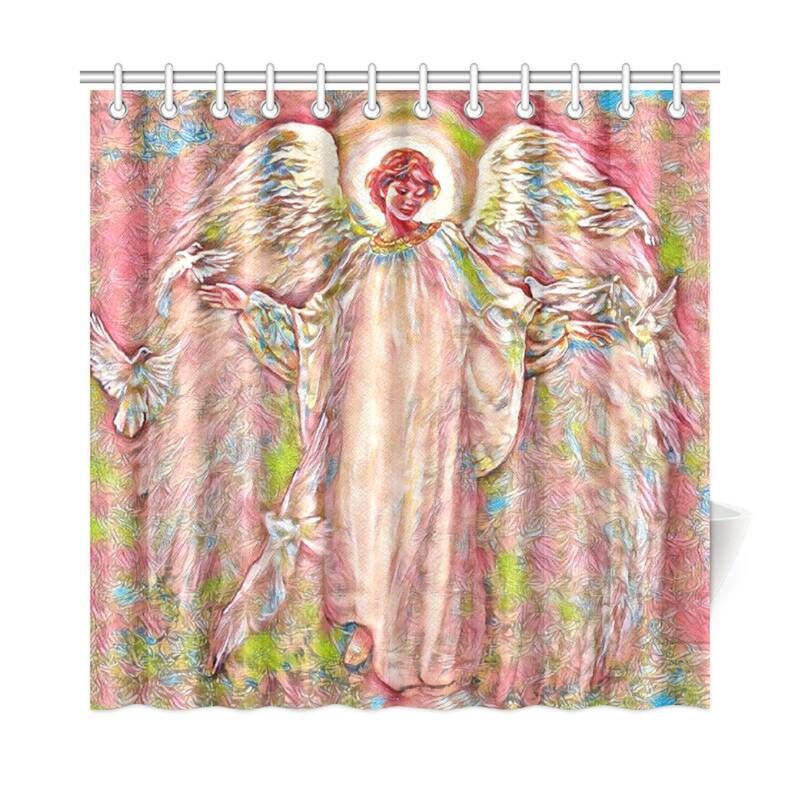 From full sizes to shower stall size. 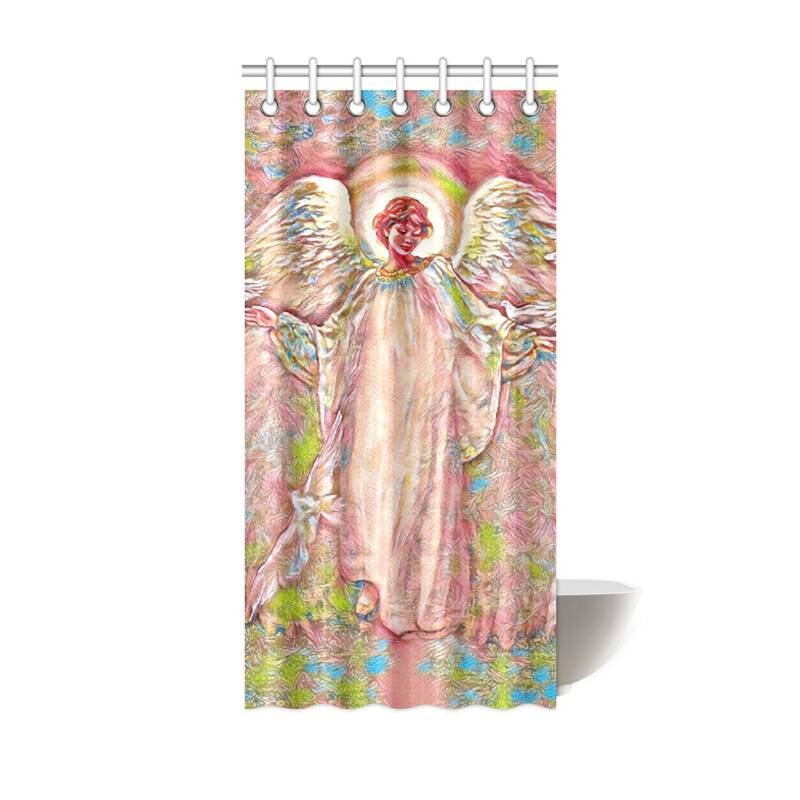 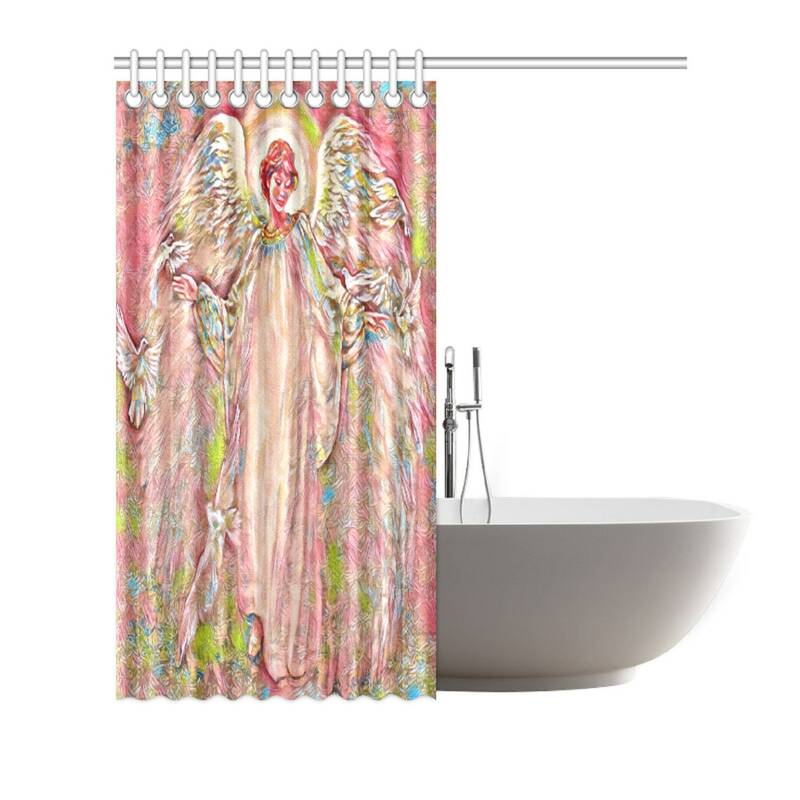 Angel of beauty will lighten your bathroom with comfort.